It’s no surprise that at Avatree, we love lighting. Company director wanted to build a Geodome and so we did! Representing the latest in lighting design, the Geodome is a futuristic lighting installation that can be configured to work with any conceivable creative experience. 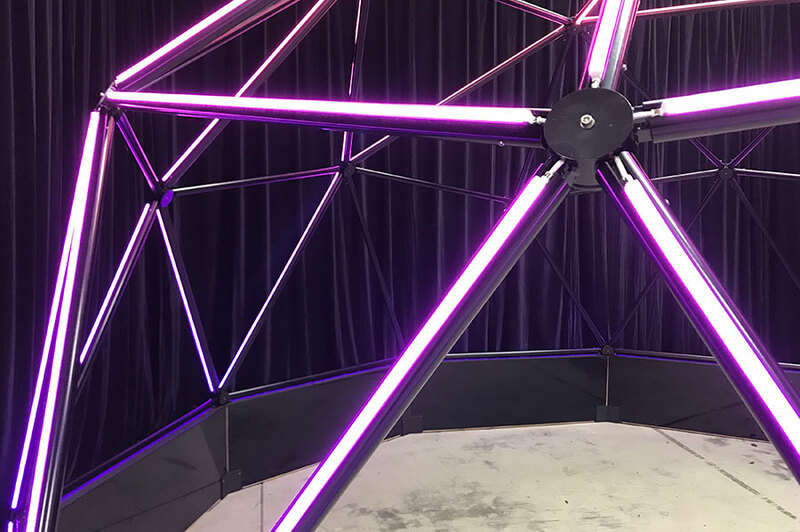 Designed and built by our custom design studio, Avatree’s Geodome is illuminated by over 100 m of addressable and programmable RGB LED neon lighting, allowing lighting designers and event organisers the ability to actively control or pre-design and program the lighting of the structure. Measuring 6 m in diameter and 3.6 m high, the Geodome’s lighting is housed within the outer shell, ensuring powerful and striking illumination from all sides.